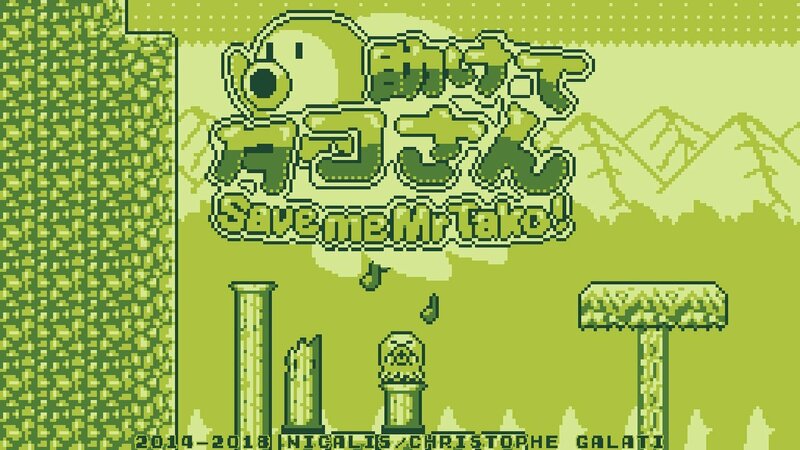 Save me Mr Tako is modeled after the catalog of a big, old, battery-sucking brick called the Game Boy. Everything about it is an homage to that long-gone era in gaming right down to the default green colored background. 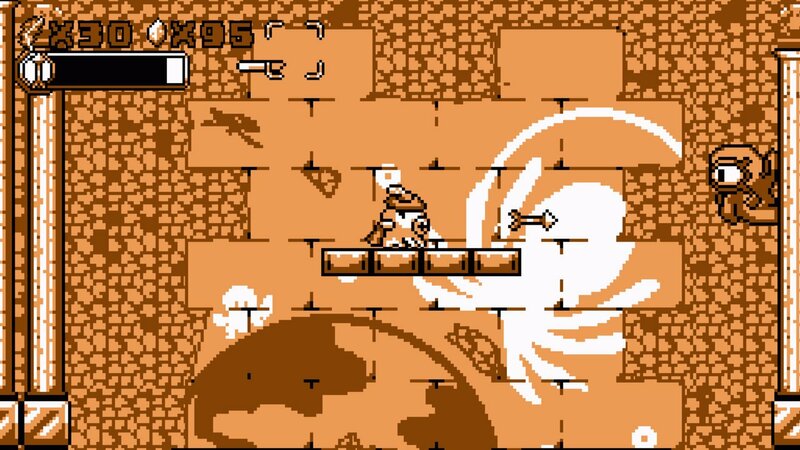 As someone who spent countless hours with that system, it's tough not to smile when Tako's title screen appears. 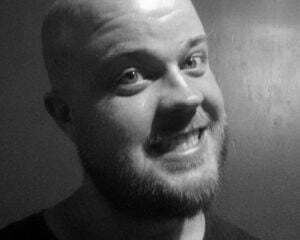 There's no drought of developers looking to milk our nostalgia bones dry, but that didn't stop creator Christophe Galati from trying. He spent years working on this passion project, and it really does show. However, passion doesn't necessarily always equate to quality. There's some great stuff here, but it's not without its faults. The story follows the titular octopus Tako as he finds himself trapped in the middle of a war between his species and the humans. He's a cute little guy, but he never really shows any emotion one way or the other. He just stands there, silently and staring blankly, during each bit of dialogue. The only real characterization he sports is an unexplained compassion for the enemy. Directly contradicting the goals of the octopus army, the slimy fellow saves one of the humans and then just continues to make a habit out of it. It's nothing fancy, but it provides a lighthearted backdrop to guide us along from place to place. The gameplay consists of a mix of platforming and shooting ink to subdue incoming enemies. He can only attack left and right, but there are hats scattered across the different worlds that offer temporary power-ups. They each grant abilities like bombs, arrows, or an extra hit before dying, and you will spend a whole lot of time dying. You'll start out with three lives by default, but you can earn more by collecting gems and feathers hidden about. All it takes is one hit from an enemy and your dead, forcing you back to the last checkpoint. If you run out of lives, it boots you back to the beginning of the level. After a fairly breezy introduction, the difficulty quickly ramps up from challenging to rage-inducing. Much of the skill required boils down to pure memorization. Enemies will pop out of nowhere, and hidden objects will both shoot out of the ground and fall from the sky often just out of frame on a nearby ledge. This is the sort of stuff that made me want to slam my Switch on the ground, coming to my senses halfway through the motion as I remembered how much the system actually costs. Unfortunately, the controls are very much a product of the time that its emulating. Tako's movement is much too floaty and imprecise for my tastes. This isn't as much of an issue for the majority of gameplay, but it really rears its head during boss segments. A few boss fights are prone to huge difficulty spikes too and running out of lives means you'll have to start the whole level over and work your way back to them, outside of a few cases where a bubble will appear and teleport you back upon re-entering the level. One modern convenience that I really miss is the ability to straight up skip cutscenes altogether. There is a fast-forward option, but it's still a bit tedious. This wouldn't be nearly as annoying if it weren't for several instances filled with dialogue that you'll be forced to sit through over and over. There was one portion where I had to wait for a cat to open a door for about ten seconds in a small room with nothing else to do, locked off from proceeding until it waddles over with a key. This isn't a cutscene either, so there's no getting around it. After my third or fourth time restarting this area, it just feels like pointless padding that only served to keep me from the action. Now, despite all of my grievances, there really is something special here. Once you finally overcome the challenges, it feels great. 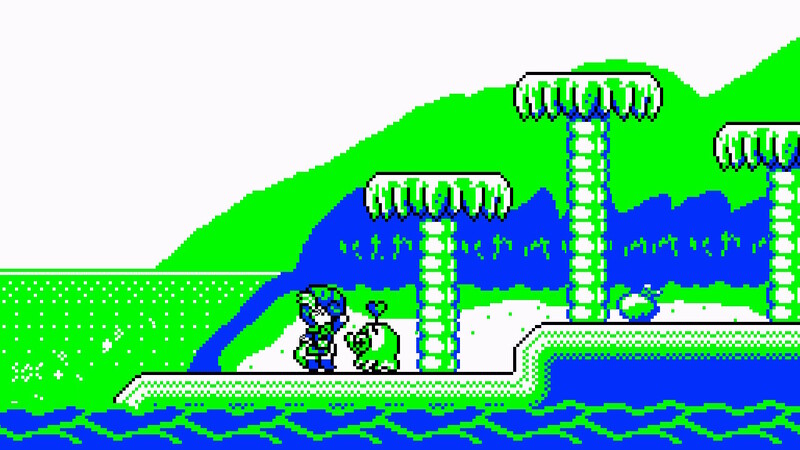 I loved the option to change the color of the background as well, which I found myself toggling between every few levels to keep my eyes fresh. The music didn't rock my world, but it's always chipper and suits the mood.